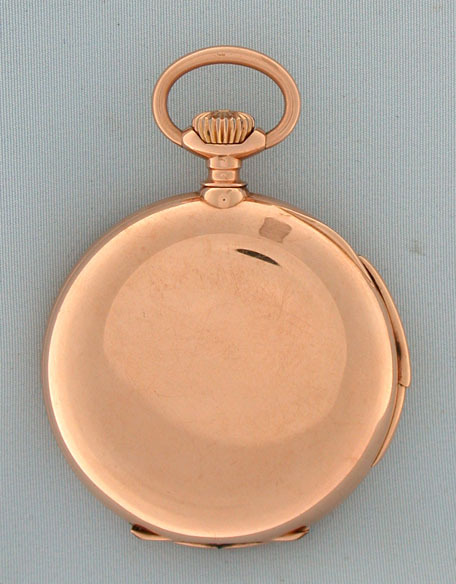 Fine and handsome Swiss 14K red gold minute repeater antique pocket watch in particularly fine condition circa 1900. 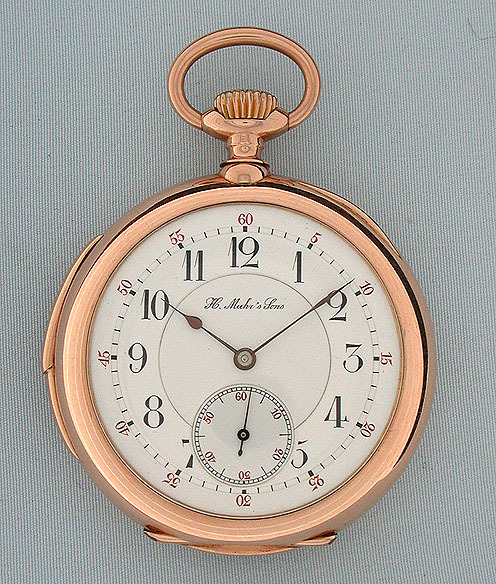 Double sunk white enamel dial with red and black numerals and blued steel hands. 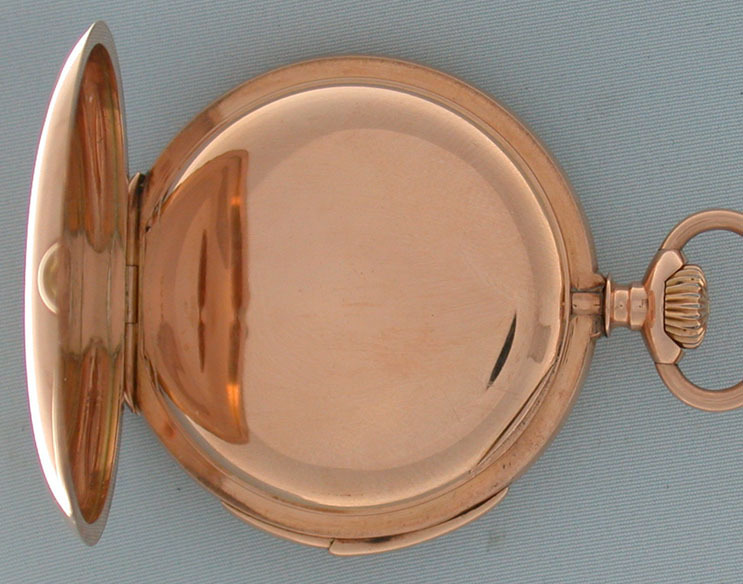 Substantial plain polish case with slide in the band to activate the repeater. 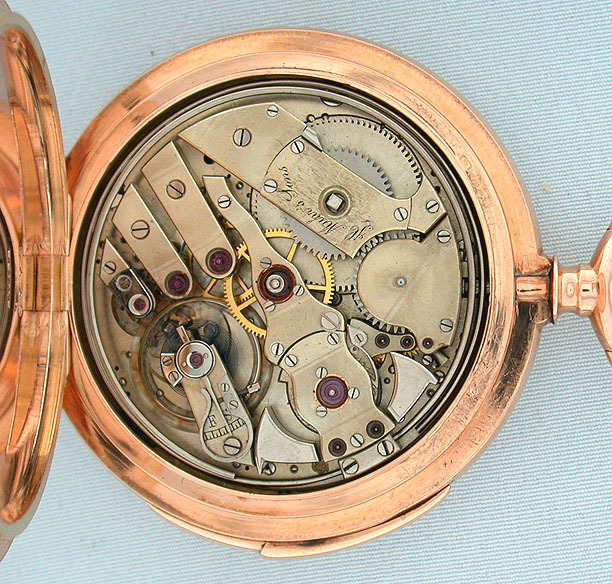 Nickel 26 jewel movement, jeweled to the center and the hammers.